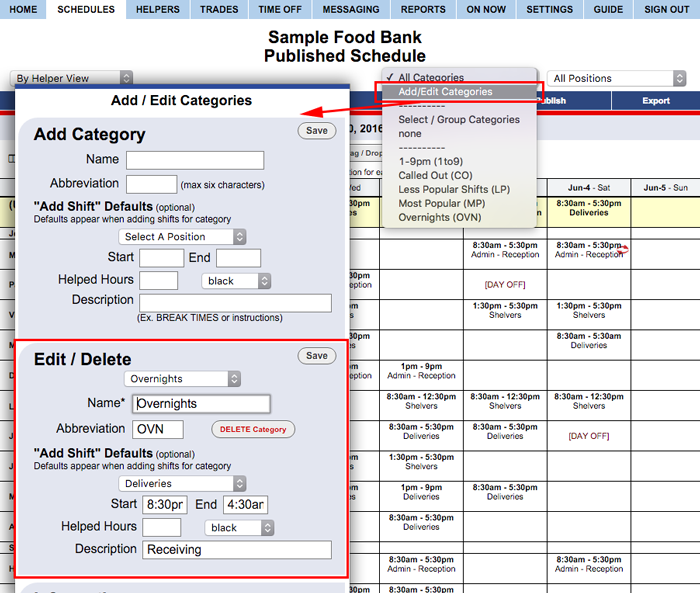 You can edit a Category Name and Abbreviation and it will then appear with the new information on all schedules past and future. NOTE: Updating any Optional Add Shifts Defaults (ex. times or shift description) will NOT affect any already existing shifts. Those defaults will just be used the next time you add a shift and choose that Category.